I’m a Shostakovich devotee, but that is not the only reason you should pay attention to this opera. Baritone Paulo Szot is reprising his 2010 role as a bureaucrat who finds himself missing his titular appendage. 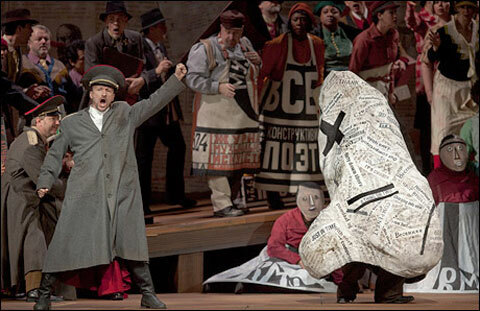 William Kentridge’s production is inventive and thought-provoking–if you ever wanted to see a newspaper nose parade around a stage, now is your chance, folks. It also deserves to be seen by more than opera aficionados; there is no reason why this opera shouldn’t be in standard repertory. It’s also getting an HD performance (yay! ), so hopefully that will help with exposure. Musical wunderkind (can we still say that, considering he’s 32 now?) 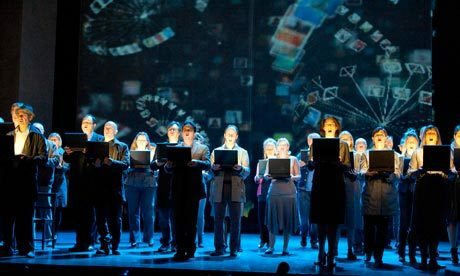 Nico Muhly’s opera for the 21st century involving–what else, two boys–and the Wonderful World of Cyberspace finally makes its way to the Metropolitan Opera, the institution which originally commissioned the work. The 2011 premiere performances at the English National Opera garnered generally mixed reviews, but much of that apathy was focused on technical aspects of the production that critics felt didn’t jive with Muhly’s score. This production is decidedly not for operagoers looking for bombast or spectacle–what they will receive from Muhly’s opera is something darker. You’ve spent at least two hours watching Law and Order: SVU reruns–take those two hours and spend them on Muhly’s piece and his visceral, intensely personal score. Oh, and Alice Coote will be in it, so, you know half of the Internet is interested, anyway. I would also like to express deep and extreme personal disappointment that Two Boys is not receiving an HD simulcast–this is a perfect opportunity to promote contemporary music! Richard Strauss. He’s not for everyone. But you should definitely find out if Richard Strauss is for you with this opera–a Wernicke production that hasn’t been seen at the Met in a decade. Soprano Christine Goerke, who has performed to great acclaim other Strauss heroines (Elektra, anyone? ), sets her “big, blazing voice” on the Dyer’s Wife. It’s a shame there are only six performances and no HD broadcast–the Wernicke production, in my opinion, uses technology that perfectly accents the music and enhances the drama without becoming superfluous or unwieldy. Don’t miss this. You probably thought I was an idiot for leaving out Onegin, but fear not, world, I’m not that stupid. If you weren’t privileged enough to hear the opening night broadcast (and what a thriller you missed), you have a chance to catch the production Live in HD. Why replace the beloved Carsen production? I’ll have to get back to you on that one (but everyone loves a little stage snow, am I right? ), but I do know Tatyana is a role I’ve been dying to hear Anna Netrebko sing. Her performance on the 23rd sealed the deal for me: regardless of your thoughts conceptually about the work, the Metropolitan Opera’s refusal to dedicate the opening night to the LGBT community in Russia, or… well, Tchaikovsky, you should buy tickets/tune in/whatever just to hear her Letter Scene. I also eagerly anticipate the return of Rolando Villazón to the Met stage for his take on Lensky when the casts change. There you have it, folks. 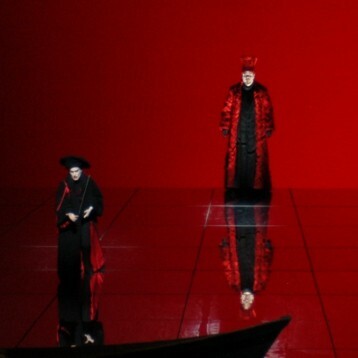 If you’re going to experience any four operas at the Metropolitan Opera before 2013 comes to a close, make it these four. Your list is so modern! I confess to being unable to properly appreciate “The Nose.” And even without Elina Garanca, I would have to put Werther in my top choices. Werther isn’t until 2014! My list doesn’t go through the new year! I was surprised by how modern it was, too.